It's about time you "f i n a l l y" get this bird posted up! Im jealous to your find! Looks good not hanging in your rafters! Thank you to: bikelover76, Johnng23604, CHABY, vaseline and myone for the favs! This is my favorite bike as well! Special thx to johnng23604, for all the consultations and putting up with all my questions. my one- I am digging the bars on that 81 Goose you built, and I really like the 89 Redline in your bikes. mbray2- thanks for the fav! BMX KYLE- thanks for the compliment. I sure do like it! Thanx bro thats what makes it all worth it!!!!!!!! So cool! I had a friend who had one of these around '82 - '83. 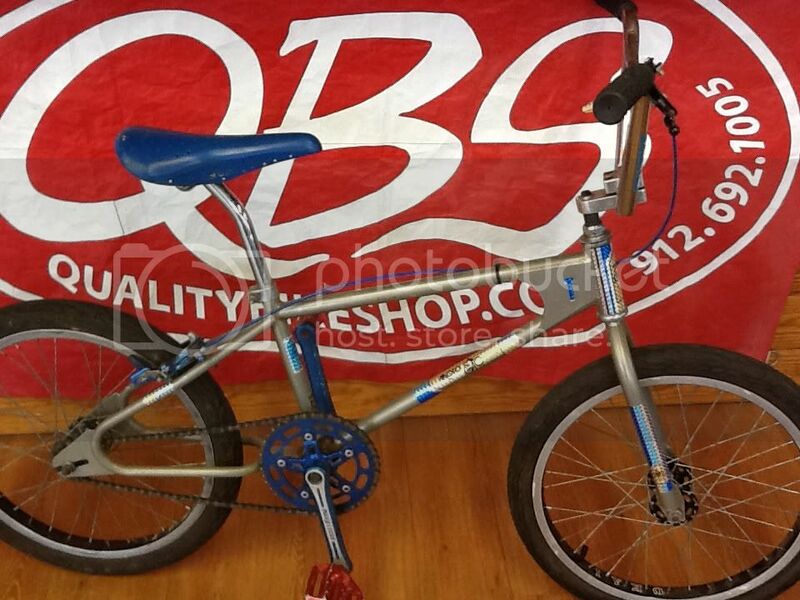 It looked just like this from what I remember, including the blue 3-pc cranks. We lived in Lilburn, north of Atlanta where there were made. I didn't know it at the time, and even goofed on him for having a "no-name" bike, while I cruised around on my Kuwahara Nova! I'd sure take this over the Nova now! I had to bump this up cause its so awsome love the nickel frame and so rear as well!!!!!!! Lets see that headbadge up close!!! SHEEEEEIIIIT!!! Not to shaby at all. Did you ever catch the peace of crap that got you?? ?